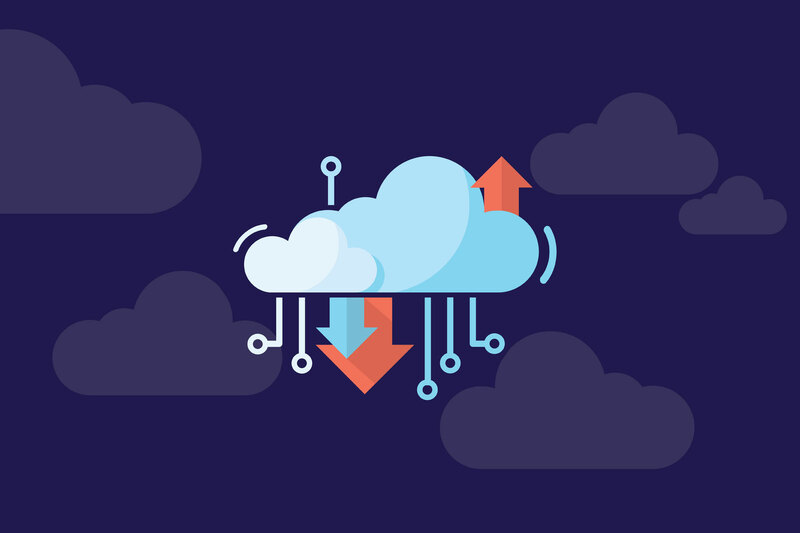 Posted byArpita Arya	 29th Mar, 2019 31st Mar, 2019 Leave a comment on Importance of Cloud Computing: Why You Should Use it? Cloud storage or cloud computing is the procedure of storing information or data online. Nowadays, this process is gaining massive popularity. It is considered one of the most secure ways of storing information. The data that is stored in the cloud remains password protected and can easily be shared with others. There are no chances of data loss, theft or damage. This is mainly because cloud computing does not take up any physical space on a system which is primarily a computer. Before the inception of cloud server providers, data used to be stored physically on flash drives, hard drives, and discs. The main problem with this system of data storage was that it took up a lot of space for storing information. At the same time, there was also this risk of the information getting stolen, damaged or lost. Another problem was that if the users wanted to share it, then they would have to make copies of the same and then transfer it to the other users at a completely different location in the safest way possible. All these problems have been readily done away with by the introduction of cloud computing solutions. Reduction in workforce is something that has had a negative impact on a large number of individuals across the world. People have long been out of work and many have been forced into finding new careers. It is being envisaged that he shift towards cloud computing might even result in the shift of the workforce towards newer job opportunities in the IT field. The market for Cloud has witnessed humongous growth in the last decade and things are definitely getting better for the ones engaged in the use of Cloud. Starting from large businesses to individuals, everyone is on the verge of developing the requirement for server providers. As per reports by Tucson News Now, the total worth of the market for cloud in the year 2016 was around $75 billion, and it is being envisaged that the numbers would increase in the years to come. As a result of these strong numbers, organizations are always in the lookout of skilled cloud professionals for helping them reap the maximum advantages of this podium. So, there are good chances of success and growth for individuals setting their foot forward in the industry for the cloud. Server providers are creating tremendous job opportunities. The providers require qualified and competent staff for designing, building and maintaining their cloud infrastructures. Moreover, as they keep adding more clients, they will have to continue with the process of hiring qualified and competent cloud professionals. As per reports by the United States Department of Labor, the essential computer operations that these server providers employ, there is around 6% to 22% projected growth between the years 2020 and 2025. This means that there is this likelihood of a shift of workforce from companies that do not provide cloud computing solutions to the ones providing these services. Furthermore, it means that if you are not a part of this rapidly expanding arena of opportunities, maybe you could be? The network for cloud computing might appear a bit complex, but almost any individual can readily use it. It is not essential for the end users to have a clear understanding of the complications of cloud computing or its work procedure. Cloud computing, in business, can effectively be used for off-line shopping copies of vital records in the form of an online back-up. The entire procedure helps in computer maintenance and file recovery. Because cloud computing companies offer IT infrastructures along with business applications, such solutions can efficiently be used merely by the investment of minimal sources. Thus, individuals looking to develop medium-scale and small-scale companies can quickly go for this endeavor by just making use of cloud computing. In the present times, technologies and the internet have entirely revived the performance and efficiency levels in firms of all sizes. A significant increase in information rates of speed and internet usage has brought about a wholly new era in the abilities of social media. Cloud computing is considered as the most innovative of this new technology.